The October issue of Weight Watchers (UK) Magazine is now for sale in meetings...and out in the shops from September 6th. I was so thrilled to see this issue, which features my weight loss story along with some of my recipes. It also describes the reasons why my blog evolved. 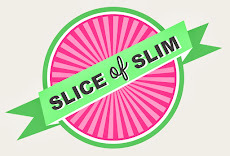 The success of Slice-of-Slim is thanks to all of you - my readers and supporters...and I'm now embarking on a new career as a food writer for this wonderful magazine! (The blog will continue as normal). will be in the Christmas issue. Well done Janey! You look so beautiful and you really have the wow factor ! Great photos - great article! Looking good Janey! Will have to make special journey as I shop on Wednesday! I should have gone to a meeting!!! Very many congratulations in advance!!! luck with weight watcher food blog. Well done Janey, well deserved. I love your blog!